Exactly one week after the March for Science, over two hundred thousand demonstrators congregated in Washington D.C. for the fourth annual People’s Climate March. 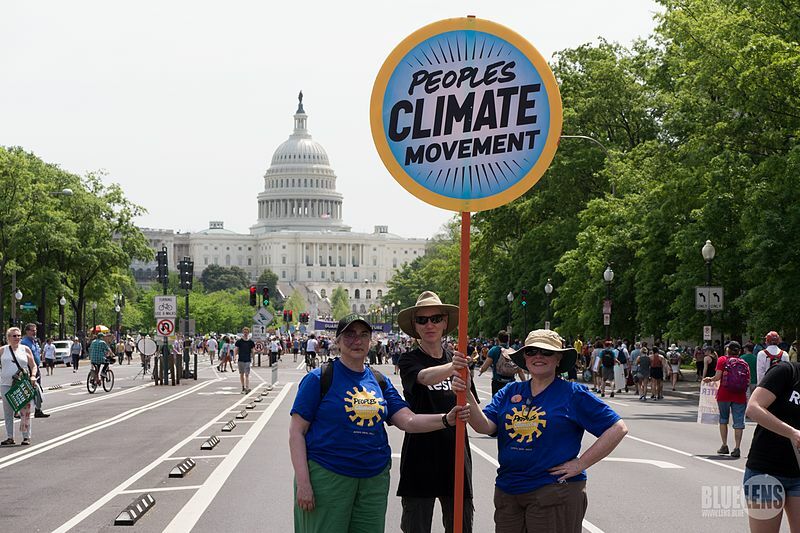 It was an ominously hot April day, ninety-one degrees Fahrenheit, as demonstrators chanted “We’re here, we’re hot, this planet’s all we got” down Pennsylvania Avenue. When the crowd reached the White House, it sat down in silence and then collectively roared to both symbolically drown out the many climate denying voices that now presided there and let President Trump know that the resistance was present and alive on his 100th day of office. The People’s Climate Movement was founded in September 2014 when people of different races, ethnicities, religions, and socio-economic backgrounds came together on the eve of the UN Climate Summit to demand bold, urgent, and equitable action to the global climate crisis. 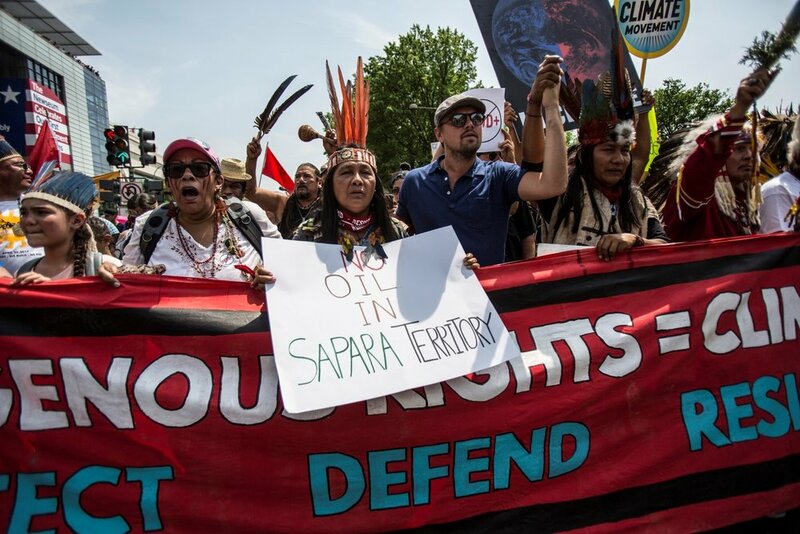 Demonstrators marched for action: investment in an economy that benefited frontline and indigenous communities and a transition to a new and renewable energy economy. This year, demonstrators, including students, workers, faith communities, indigenous nations, community organizations and environmental groups, marched to protect the gains that have been made in recent years and continue to demand initiatives that move the US to a new, clean energy economy. 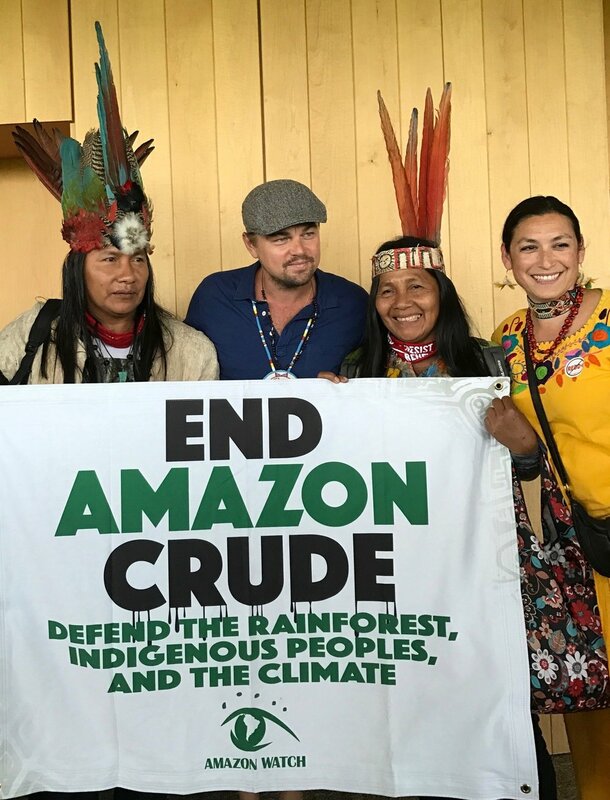 Led by the frontline communities that are experiencing the impacts of climate change first and worst, marchers demanded jobs, justice, and climate action. Organizers hope to capture and harness the continued energy and participation around this movement and turn it into a political coalition capable of countering the Trump agenda at all levels, including the devastating cuts to efforts combatting climate change. There were over five hundred amazing partnering organizations for the march. Overbrook wants to send a special thanks to our many grantees who served on the march’s steering committee or as a partner organization. Thank you for your incredible work!